The battleship U.S.S. South Dakota - BB57 - was one of the most battle-tested and distinguished naval vessels of World War II. Approximately 2500 enlisted men and officers served on the ship from the time she was commissioned in 1942 until she was finally docked and cut up for scrap in 1947. BB-57 crew members have been getting together occasionally over the years - 26 times since the end of the War and frequently at the Battleship South Dakota Memorial in Sioux Falls. Four former crew members attended the event held on July 7, 2018. The men did not know one another during the war. They only met because they showed up at one reunion or another over the years. In the following video, South Dakota Lieutenant Governor Matt Michels reads a proclamation honoring the ship and crew and BB-57 vets Donovan Charles and Leon Gee share some memories of their time in the service. Donovan Charles, a South Dakota native, remembers having to move fast as an enemy plane attacked the ship. "My first assignment after boarding the USS South Dakota, in 1944, was the 2nd Division. The second division was a deck division and was responsible for the # 2 16 inch gun turret. My battle station was in a 16" powder magazine. Immediately after being secured from battle stations I enjoyed going topside and watch our carrier aircraft return from their missions and land on their home carriers. It might be noted that some of our carrier planes had suffered considerable damage while on these missions. The Japanese pilots quite frequently would fly behind our returning aircraft at a safe distance, to avoid being detected, to find our fleet. As I was watching, one day, I witnessed a plane leave formation and dive towards the Aircraft Carrier Essex. It released it's bomb at the carrier narrowly missing it. I thought the bomb explosion sprayed water on the carrier's flight deck 65 feet above the ocean. I had not studied Japanese aircraft recognition, but I am assuming it was a Zero as to my knowledge the Zero was Japan's primary fighter plane. Our antiaircraft guns,on the port side sent a blanket of shells toward the plane with no effect and as he crossed the ship the starboard anti-aircraft opened up with a Horatius barrage of antiaircraft shells. I did not see if any of our shells hit the plane, but I heard that one of our carrier planes dig get it over the horizon. Charles also remembers a wild scramble to secure loose cannon ammunition. I was standing watch in a 5" gun mount which, of course, was totally made of steel. We were in enemy waters so we would place a dozen or so 5" projectiles on deck to be quicker handled and shoved into the gun barrels as enemy planes were approaching. We lashed the projectiles in place by a line (but) when the ship hit a large wave and the line holding the projectiles in place became undone, these projectiles were rolling around on the steel deck. One sailor screamed "Lets get out of here" and opened the hatch and was gone. The rest of us were on our hands and knees trying to control as many of these shells as possible. The projectiles were capped to avoid exploding before being placed in the guns but a sudden impact against a steel bulkhead could quite easily set one off. The projectiles were all thrown overboard as the timer mechanism could possibly have been changed and caused it to go off prematurely when fired from the gun. Life on board a battleship was not always safe and easy. Waldron "Wally" Pratt remembers how he got into the Navy, what he did aboard the South Dakota, and the day he was nearly incinerated while simply doing his job. Images of the Past Veterans of the WWII Battleship South Dakota - Part Two Waldron "Wally" Pratt talks about the dangers of just doing your job on a warship. Richard Hackley remembers the fellowship he experienced aboard the U.S.S. South Dakota, and the occasional inconveniences of life on a warship. 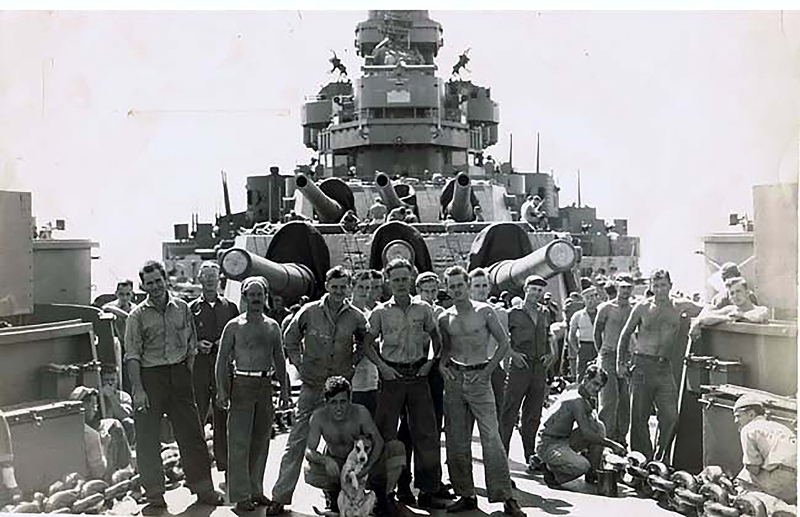 Images of the Past Veterans of the WWII Battleship South Dakota - Part Three Richard Hackley talks about some of the inconveniences of life aboard a warship. 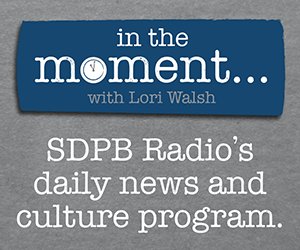 Interview with SDPB's Brian Gevik, who spoke with U.S.S. 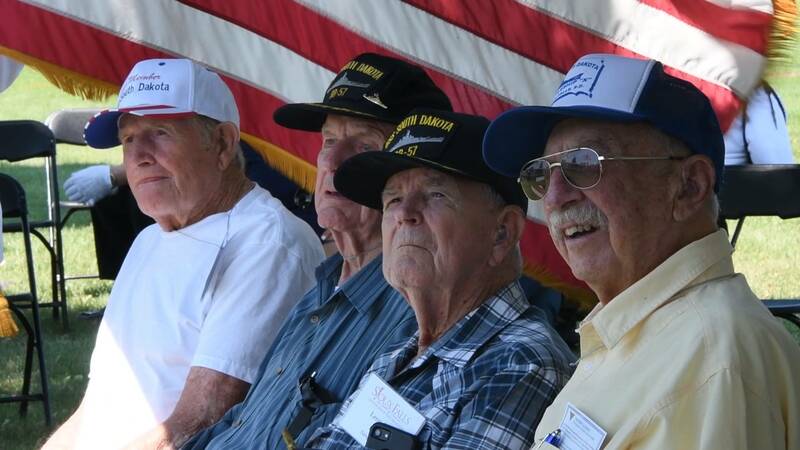 South Dakota Veterans in the summer of 2018. Learn more about the battleship South Dakota and listen to other vets tell their stories at the Battleship Memorial Web site. 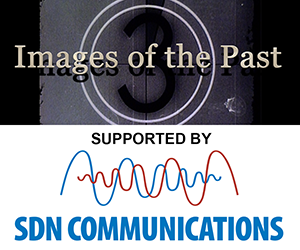 Find Your Own "Images of the Past"